Advertising their ornamental and utilitarian castings at a number of important exhibitions, their The Fairy Fountain was a hugely popular feature at Glasgow's Kelvingrove International Exhibition, 1888. Previously exhibited at South Kensington, 1886, and Manchester, 1887, the Kelvingrove fountain was spectacularly illuminated with coloured light. 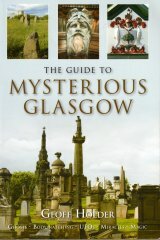 Such was its popularity that the fountain was celebrated in the song The Fairy Fountain by J Rae, and was copied and exhibited again at the Kelvingrove exhibitions of 1901 and 1911. The original fountain was purchased in 1889 and re-erected in Queens Park, Maryborough, Queensland, as the Andrew Melville Monument, 1890.